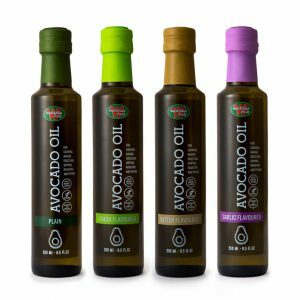 Westfalia Fruit’s Extra Virgin Avocado Oil can now be enjoyed by consumers in the United Kingdom, following its recent launch online via the Ocado webshop. 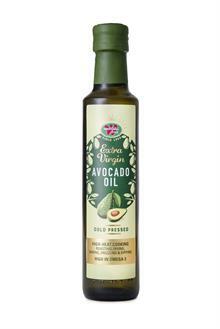 Containing omega 3 fatty acids and monounsaturated fats, this 100% pure avocado oil is made from the flesh of ripe avocados, hand-selected and carefully processed to capture the flavour and richness of a ripe avocado. The cold-pressing technique gently distils the oil to preserve the natural benefits of the fruit. The avocado oil delivers a well-rounded but subtle taste, making it the perfect partner for enhancing the flavour of almost any kitchen creation. Suitable for high-heat cooking, the oil is ideal for roasting, frying, baking, drizzling and dipping, and contains no trans fats, additives, preservatives or artificial ingredients. 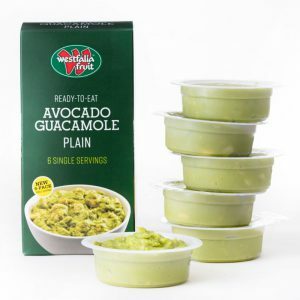 Westfalia Fruit Extra Virgin Avocado Oil is suitable for vegetarians and vegans and is certified Kosher and Halaal. Click here for Avocado Oil Recipes.